If your perception is cruise vacations are limited to big ships with laser tag، bumper cars، ice skating rinks and Broadway shows، you’re missing the fastest growing segment of the industry. Luxury yacht and expedition vessels offer those of you with wanderlust easy access to remote places that are hard to reach by road or air. Your obstacle course today might be navigating your kayak around icebergs or for evening entertainment، watch and listen to dolphins frolicking right in front of you - from a window under the surface of the ocean، forbes reported. During Seatrade Cruise Global this week in Miami، of the nine scheduled press conferences، six were either about small luxury yachts or expedition cruising. In an industry that expects to welcome over 28 million ocean cruise passengers next year، there are over 40 new niche vessels set to launch by 2022. 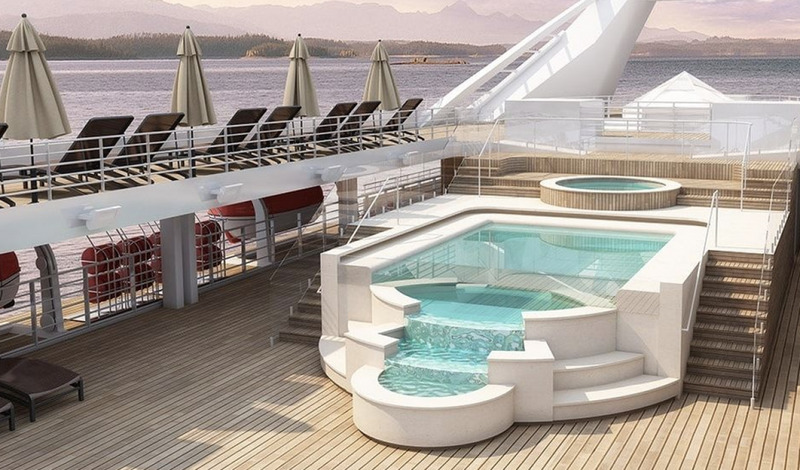 Ponant announced that it had taken delivery of its third new explorer ship since last June، Le Bougainville with just 92 staterooms and Blue Eye، an underwater observatory that enables viewing sea life as it swims right by your ship. In two months she will be joined by Le Dumont D'Urville، its ninth ship. Owned by France’s Pinault family (they also own Gucci، Brioni، Saint Laurent، and other luxury fashion brands)، its fleet will grow to a dozen ships، the last in the current plan، the world’s first electric hybrid polar exploration ship powered by liquefied natural gas due in May 2021. 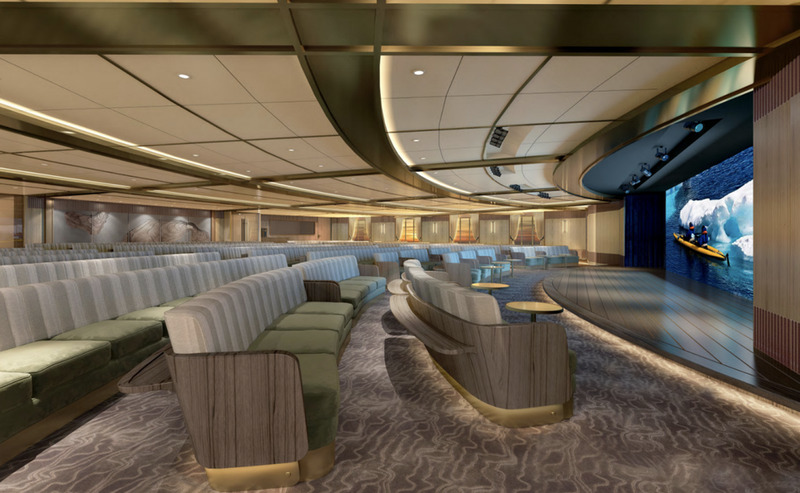 Seabourn، a unit of Carnival Corporation & Plc، used the event to reveal interiors of its first of two expedition vessels، Seabourn Venture، coming in June 2021. Legendary designer Adam Tihany previewed the Expedition Lounge، Discovery Center and Landing Zone. The areas are each linked together to provide both an easy flow on and off the vessel. 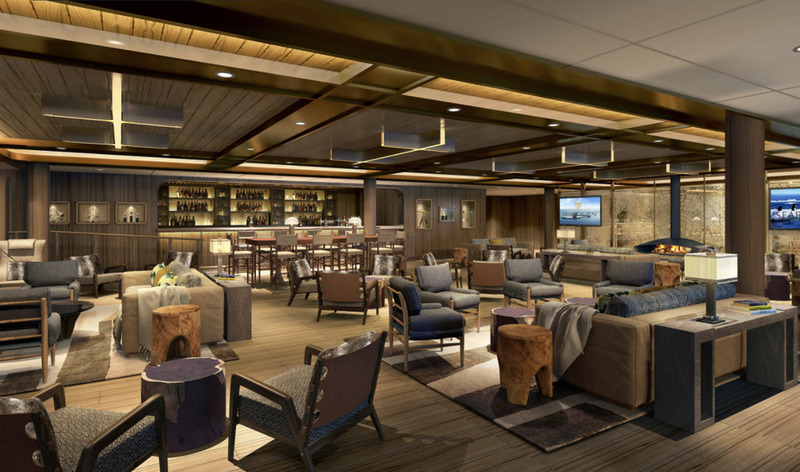 The Expedition Lounge allows guests to have a warm drink before they head into Arctic waters or gather for a cocktail and share photos after another epic venture. The Discovery Center will have enough seating to accommodate every guest and will be where the ship’s 26-person expedition team of wilderness experts، scientists، historians، and naturalists will lecture and lead discussions. Tihany told the media he personally is leading and involved in all elements of the design، including the custom furniture. 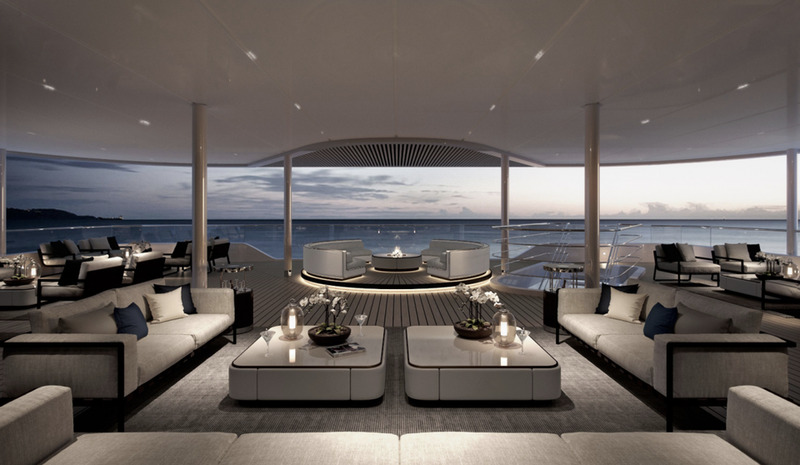 He said he was particularly proud of detailed، luxury touches and materials in Landing Zone، the ship’s version of a mudroom where guests will change into or out of exploration equipment. 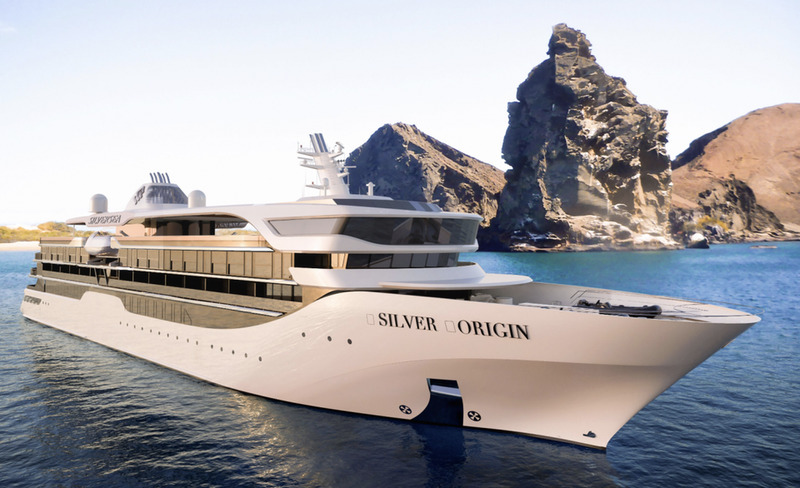 The next day، Silversea gave the press its first glimpse of the Silver Origin، which adds a high luxury offering to the Galapagos starting in the summer of 2020. Roberto Martinoli said it’s the company’s first vessel to utilize new owner Royal Caribbean’s cutting edge virtual reality design studio. He said the high-tech approach enabled his team to better understand how to best utilize the ship's space. Like Seabourn، Silversea is trying to enhance the experience of experiential travel with floor to ceiling high-definition، interactive digital walls enabling its experts to provide more dynamic briefings. Basecamp will be an elegant lounge in which guests can socialize before and after excursions. Earlier this year، Silversea announced for the first time in its history it will have two world cruises in the same year، including the first-ever luxury expedition world voyage. Sailing aboard Silver Cloud، guests will spend 165 days starting from Ushuaia on the tip of South America west، ending in Tromso، Norway. While there will be stops in world capitals such as Singapore and London، its 107 ports in 30 countries will include calls in Antarctica، tiny Pacific atolls، remotes islands of the Indonesia archipelago and a myriad of off-the-beaten-track Greek isles. Douglas Prothero، CEO of The Ritz-Carlton Yacht Collection، whose Azora will make her inaugural voyage in February 2020 told journalists his only problem is not having enough ships. He said the company is already discussing what’s next after its first three. Victory Cruise Lines، which was acquired by the same holding company that owns American Queen Steamboat Company in January، announced it will expand itineraries beyond the Great Lakes along the eastern seaboard، including New England and the South as well as seven-day journeys from Cancun exploring the Mayan peninsula. Its president and CEO John Waggoner said in 2021 its new Ocean Victory، hosting 200 passengers with 20 zodiacs، will offer its first cruises to Alaska. Meanwhile، Windstar Cruises showed off details of a $250 million renovation across its three small ships، which includes adding 50 suites on each via stretching the hull، a process that entails splitting the ships and then adding a new section in the middle.